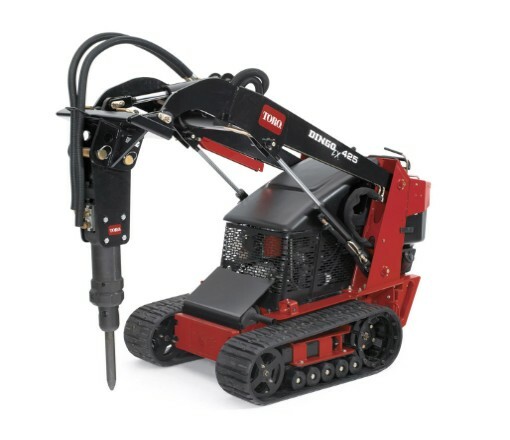 Looking to rent a Hydraulic Breaker attachment for the Toro Dingo in Rochester NY, Ithaca NY and Western New York? High quality engineering for demanding breaking jobs including concrete, asphalt, rocks, bricks or other aggregates. Widely respected by professional contractors for productively breaking footings, sidewalks, foundations and other structures. Notably, the Hydraulic Breaker Attachment can be mounted horizontally to productively break walls. Breaks down to 10 inches of depth. Remarkable 180 foot / pounds of break-out force.